The bursary is available to registered fulltime students of a South African university as well as academic staff members who enjoy junior lecturer status. 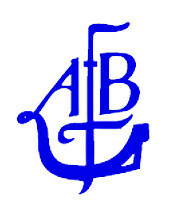 The focus of the Abe Bailey Bursary is leadership development and the trustees wish the bursaries to be awarded to students who are academically strong and have shown exceptional qualities of leadership and service, with a good track record - not only on a campus level but also in a wider social context. From 21 of the 25 residential universities, 654 applications were received, and 125 of the applicants were interviewed by their university committees.